The annual Lincoln Luncheon will be held from noon to 1 p.m. on Tuesday, February 12, at the LaRue County Extension office located at 807 Old Elizabethtown Road in Hodgenville. This years guest speaker is Mrs. Heather French Henry. A local, state and national advocate for military veterans and their families for over 20 years, she has served both Governor Beshear and Governor Bevin as the Commissioner and Deputy Commissioner of the Kentucky Department of Veterans Affairs serving over 300,000 veterans in the Commonwealth of Kentucky. Her role in the department provided oversight for nearly 900 employees serving in 4 state veterans’ nursing centers, 5 state veterans’ cemeteries, statewide veterans’ benefits and programs that served women veterans and homeless veterans. Her responsibilities included developing legislative policy for the department and assisting with the overall strategy for the department’s budget of nearly $100 million. 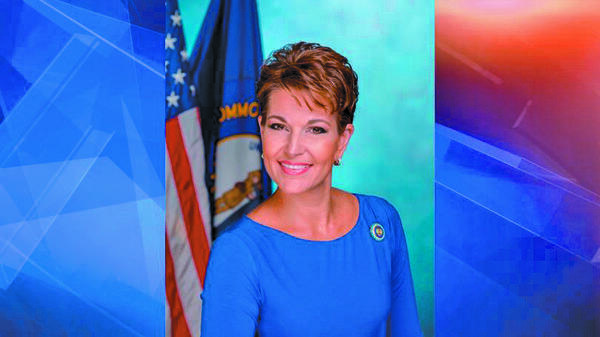 A former Miss America, fashion designer, and veterans advocate, Henry recently filed as a candidate for Kentucky Secretary of State. The program will include music performed by Mrs. Camille Turner, the presentation of the Richard Burks Award, a catered meal, and a great opportunity to gather and commemorate the birthday of President Abraham Lincoln. A wreath laying ceremony will be held at 8 a.m. on the square in downtown Hodgenville, followed by a wreath laying ceremony at the Abraham Lincoln Birthplace National Historic Park at 10 a.m. The public is invited to attend these ceremonies to honor President Lincoln’s birthday. Luncheon tickets are $15 and can be purchased at the Lincoln Museum or from any Lincoln Days board member. Tickets must be purchased in advance and the deadline is 4 p.m. Saturday, Feb. 9. For more information, call 270-537-4234 or the Museum at 270-358-3163.